Autodesk just announced the release of AutoCAD 2019, and with its introduction comes many significant changes you need to know about as a subscriber to AutoCAD. Over the coming weeks our team will publish many posts about the 2019 release, but let’s begin with an essential look at AutoCAD 2019. The three key parts of this release are the desktop application you’re likely familiar with, AutoCAD Web, and finally what Autodesk is calling One AutoCAD. While each of these elements brings positive changes to AutoCAD, the introduction of One AutoCAD is likely the most impactful. One AutoCAD represents the most significant change to the way Autodesk packages AutoCAD in recent memory. Starting today, AutoCAD and its many vertical flavors are no longer offered as individual subscriptions. Instead, AutoCAD and AutoCAD-based products such as AutoCAD Architecture and AutoCAD Map 3D are combined into One AutoCAD. This combined product includes access to AutoCAD plus the entire portfolio of AutoCAD verticals which are now called Toolsets. Although all new subscriptions to AutoCAD include access to the specialized toolsets outlined above, existing customers with eligible subscriptions may opt into a One AutoCAD subscription for the remainder of their contract. Additionally, while AutoCAD subscribers must opt-into the new One AutoCAD, it will be included as part of a forthcoming update to the Architecture, Engineering, and Construction Industry Collection. As always, our account team is here to help you navigate this change, and provide you with the information necessary to make the best decision for your business. Even if you’re not currently a CADD Microsystems customer, we’re happy to help you with this change. Just complete this form to schedule a chat with a member of our team. Apart from the wealth of features added to AutoCAD through the Specialized Toolsets outlined above, AutoCAD 2019 does come with several new features of its own. 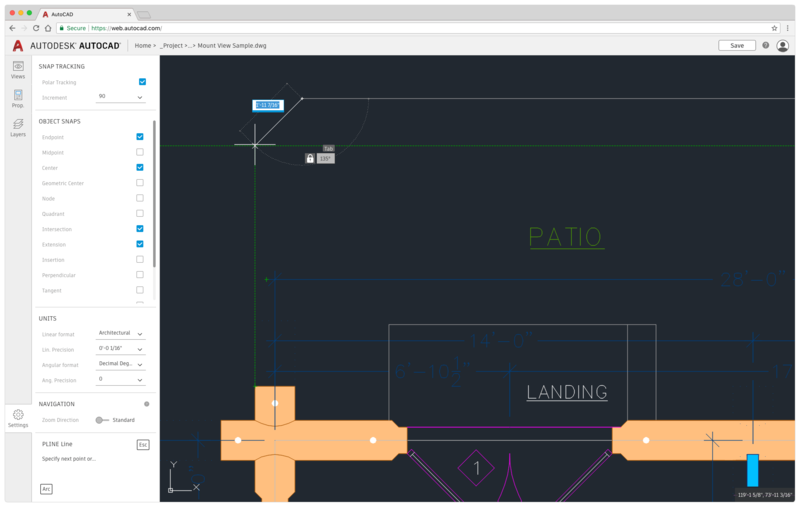 Stay tuned to our upcoming posts about AutoCAD 2019, but some of our favorite new features include Drawing Compare and Shared Views. This new functionality is in addition to enhancements to views, viewports, and layer property overrides that first appeared in the AutoCAD 2018.1 update last fall. 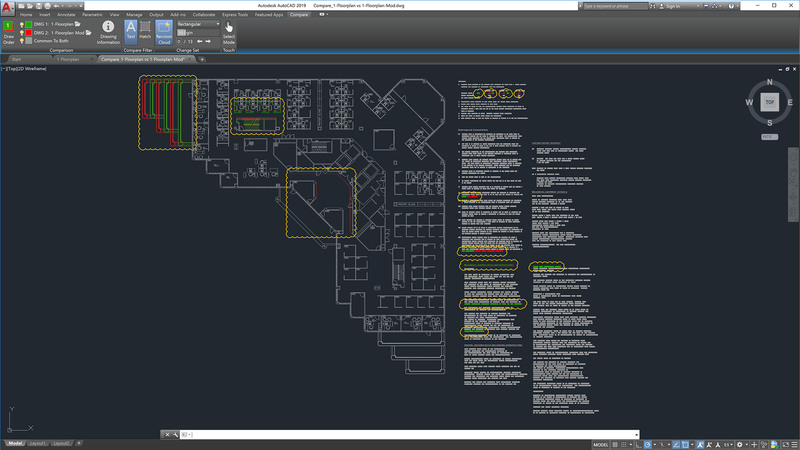 Drawing Compare is an all-new version of a similar tool once restricted to AutoCAD Architecture. In addition to quickly identifying what’s changed between two versions of a drawing, the tool takes things a bit further with the ability to insert a table of drawing metadata into a drawing, plus the ability to automatically place revision clouds into your drawing. With just a click, you can now share drawing views with anyone thanks to a new integration with the Autodesk Viewer. The Autodesk Viewer is a web-based tool that lets anyone view a vast array of Autodesk file formats, including DWGs, without installing anything. Shared Views offer a refreshing alternative to ordinary collaboration workflows that require teams to convert their drawings to PDF, email those PDFs to stakeholders, and finally collect everyone’s feedback into a single place so it can become actionable. With this new functionality, views and data are extracted from your drawing, stored in the cloud, and a shareable link generated. You can then send that link to stakeholders who will be able to view, review, measure, comment, and markup the view you’ve shared with them. Intended as a tool to streamline collaboration during the design process, shared views automatically expire after 30 days, but you have the option to extend or terminate links whenever necessary. Starting with AutoCAD 2018.1, you can create viewports from any named view in the current drawing. When leveraging this workflow, AutoCAD makes a best guess for a viewports scale based on the paper size of the current Layout tab. Although the tool typically chooses the scale I would have otherwise chosen, new viewport enhancements make it easier than ever to change the scale of a viewport and adjust its size if necessary. My post Sheet Setup Made Easy with AutoCAD 2018.1 Views and Viewports on The CAD Geek Blog offers a detailed look into this new functionality. While the new features inside AutoCAD 2019 expand and refine existing workflows, AutoCAD Web seems to open the door for entirely new workflows. Autodesk talked a lot about the modernization of the AutoCAD codebase during the launch of AutoCAD 2018 last year. Although I appreciated and respected the need to modernize the code, it was also one of those projects that appeared to offer little to everyday users of AutoCAD. A year later, that tide has significantly changed with the introduction of AutoCAD Web. AutoCAD Web is not just a continuation of the former AutoCAD WS and AutoCAD 360 you may have dabbled with in the past. Instead, AutoCAD Web is a desktop-class experience delivered through a web browser. Autodesk achieves this by powering AutoCAD Web with the same engine as the desktop version of AutoCAD 2019. 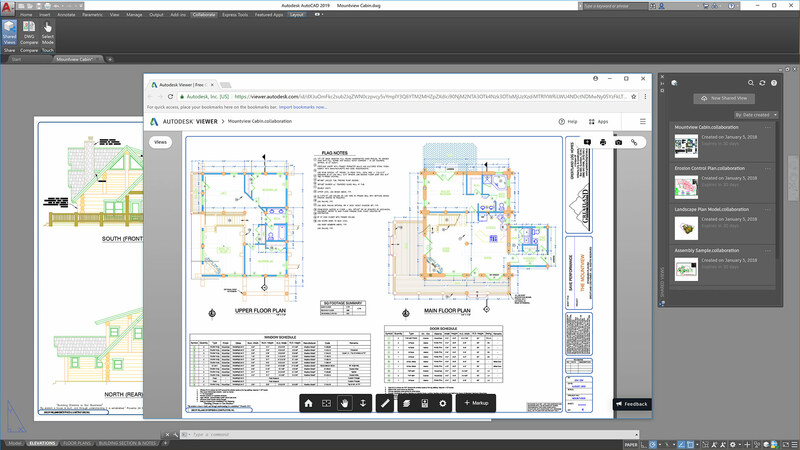 Because of the code modernization efforts discussed last year, we now have a web-based version of AutoCAD that matches the power and performance typically reserved for desktop applications. Testing this functionality for myself, I was genuinely impressed at the ability to draft a simple architectural floor plan from scratch using AutoCAD Web. What impressed me even more was the performance of that experience easily matched the overall performance of AutoCAD 2019. Though I don’t see full-time users of AutoCAD trading in their subscriptions for AutoCAD Web just yet, I do see it serving as an incredible supplement to many workflows that take users out away from their desktop. Likewise, I see AutoCAD Web as a possible alternative for passive users of AutoCAD. People who need to perform basic edits to drawings, but who do not spend a majority of their day using AutoCAD. Since AutoCAD Web isn’t tied to the typical release cycle of the desktop version, I am very eager to see what Autodesk adds to the web experience throughout the coming year. From One AutoCAD to AutoCAD Web, the release of AutoCAD 2019 is about far more than the general drafting and documentation tools typically associated with AutoCAD. We’re very excited by what each of these additions means to CADD Microsystems clients and can’t wait to share a detailed look at our favorites through the series of posts we’ll publish in the coming weeks. Stay tuned for that series and more as the team at CADD Microsystems introduces Autodesk’s 2019 portfolio of products. 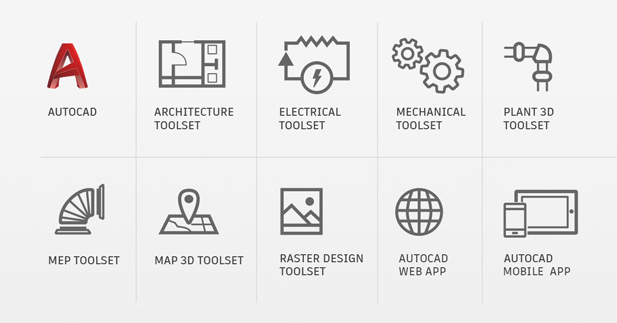 AutoCAD now includes access to seven specialized toolsets that provide the right tool at hand no matter the design challenge you face. Connect with our team to see how you can gain access to this expanded collection of tools. Do I still need to obtain a 3rd party product (e.g. Furix Better WMF) to generate wmf files with line weights and colors or is AutoCAD 2019 now capable of that?